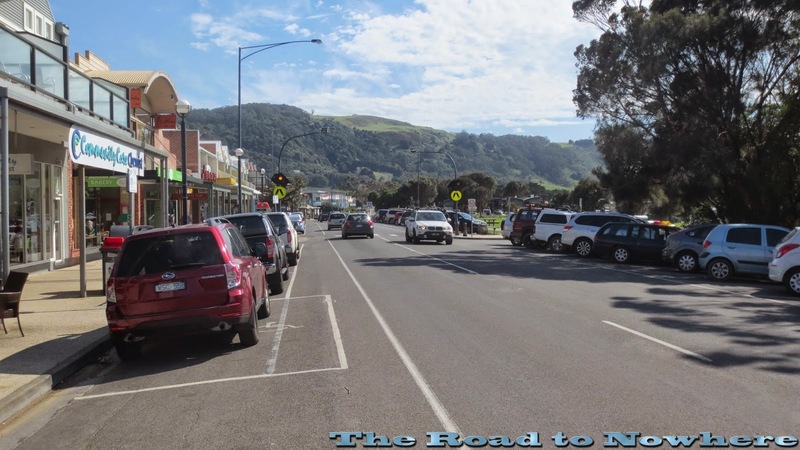 The great ocean road or GOR for short is one of those iconic roads that is a must visit for every motorcyclist as well as tourist and locals alike. It has amazing beach lines, winding mountainous roads with magnificent views, forested sections that wind uphill and down dale with bend after glorious bend. The GOR starts at Geelong and ends at Warnambool and was built by the returned service men or diggers as we call em here after world war 1, for us motorcyclists it starts proper from Torquay until Port Campbell. The GOR is on just about every motorcyclists list of roads to do before they die and fortunately or unfortunately depending on how you look at it I've managed to ride it 4 times. If your planning on visiting Australia and want to know where to ride then this is a great start. There are also some great feeder roads to and from the GOR through the Otways ranges national park. The views up in the Otways is spectacular, one can look to one side and see stunning valleys that reach out to the sea and on the other sweeping vistas and forested hillside stretching for miles, absolute beauty with winding roads in between. This is a motorcycling paradise. Starting from Torquay and heading to Anglesea is more or less gentle sweepers and a few tight corners thrown in which is but a taste of whats to come. From Anglesea to Lorne the tightness of the corners intensifies as the ocean views come thick and fast with mountain views on the right hand side to counter. Lorne is one of the larger and more touristy towns, I prefer smaller places and less crowded, like Apollo bay. One must look out for the numerous tour buses that frequent this road as well as star struck international visitors trolling along at super low speed. There are quite a few turn out lanes for slower vehicles but from my limited experience on this road most drivers seem to think that they are for other drivers and won't pull over and use them. Feel free to honk and flash your lights at them for such selfish driving. From Lorne to Apollo bay the traffic seems a little lighter at times with still the same superb twists and turns along the coastline. There are plenty of spots to stop along the way for photos of the scenery. Apollo bay is a small little town, be careful as you cant get fuel here after 10pm and according to tarsnakes this is one of the most expensive places around for premium fuel. Once out of Apollo bay the road winds its way up into the hills and forests leaving the beaches and coastline behind. Winding through hilly forested farming land it comes out to the sleepy little hamlet of Lavers Hill. Turning left at Lavers Hill takes you to Port Campbell following the GOR and turning right takes you up through to Gellibrand or Beech Forest also some fantastic riding. 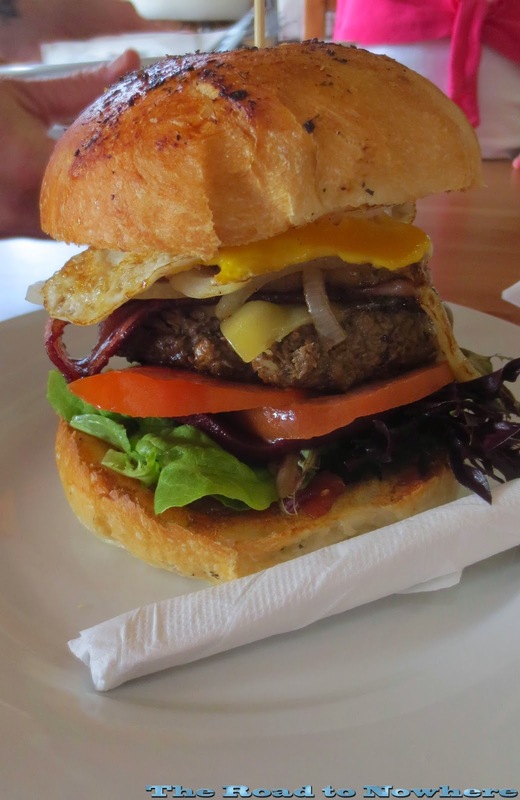 Make sure to stop off at 'the shoppe' for a home made hamburger, it's one of the best I've ever had. After Lavers Hill the road winds its way through lush forests and beautiful hilly farmland away from the coastline but eventually winds it way back down to the sea again near the 12 Apostles and Port Campbell. The road becomes a lot straighter out near Port Campbell but there are still some good corners to be had and spectacular views. One can take a helicopter flight over the 12 Apostles and Loch Ard Gorge or you can just park up and and wander down to one of the many walkways constructed for tourists to take in the views. Just a short 5 minute trip up the road from the twelve apostles is Loch Ard Gorge named after the the Ship aptly named Loch Ard, which run aground and sunk here killing all but 2 passengers. Not long after Loch Ard gorge you come to Port Campbell which is effectively the end of the road for riding the twisties in this part. The road continues out to warnambool but the road becomes fairly straight after this. There's good accommodation and fuel available in Port Campbell with a pretty little beach right at the centre of town. One of the great riding roads in Australia if you get the chance, which is only ruined by the fact that there are so many tourists on this road. Best to ride it during the weekdays if possible as there is generally less traffic. It sure is beautiful and some excellent riding. Pity I can't get there more often. Wow, such stunning views. Those cliffs are beautiful. Aren't they ever. Tarsnakes is a very lucky guy to have this at his doorstep so to speak. Great write-up and pics. You working for the Tourism board now? Those bastards owe me money, they haven't even sent the cheque from the last post I did. Wow, looks like a great ride! It looks like the kind of road where I'd realize I hadn't stopped to take any pictures after I was already done for the day. Yep Lucky, its one of those roads where you have so much fun you have to force yourself to stop to take photos otherwise you end up with nothing but the smile. Great pictures and blogging on the GOR. Brought back lots of fond memories. Must do it again this summer. Why not mate, you live so close to the GOR is nearly on your doorstep. Steve, congrats on a great overview on a section of Australia that I know very well. Some very familiar pics there! Oops forgot to comment, thanks for all your tips on places to see along here. The shoppe was a great little stop for a bit to eat, the burger was the best. Lovely area you get to ride mate.